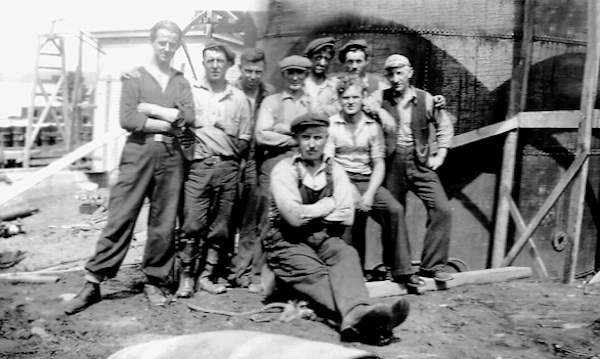 My grand father Orestes Simmonds (front center) and his boiler maker team. Orestes was the head boiler maker of Southside Hills and this was his team. the older brother George (that I have a picture of also). Can anyone identify any of the other men in the photo?